UPDATE: Here's what former U.S. ambassador to Israel Nikki Haley had to say about it too. The American Israel Public Affairs Committee's policy conference is this weekend in Washington, D.C., and organizers are expecting quite the crowd. In fact, they're calling it the "largest ever." Enthusiasm may be especially high this year because of recent incidents in Congress. Democratic freshman Rep. Ilhan Omar (D-MN) keeps making anti-Israel statements, with little pushback from party leadership. The most House Speaker Nancy Pelosi has managed is a statement opposing her language and a watered down anti-hate resolution. The measure was prompted by Omar's anti-Semitic remarks and was intended to condemn anti-Semitism, but when the freshman complained about being singled out, other forms of bigotry were added to it. It passed, but not before 23 Republicans voted against it. Now more than ever, it seems, advocates want Israel to know we stand with her. All are welcome, according to AIPAC. Americans of all faiths, races and backgrounds — Democrats & Republicans — will come together to celebrate and advance the U.S.-Israel relationship. It’s where people who love Israel meet, discuss, and advocate. It looks like America because we are America. 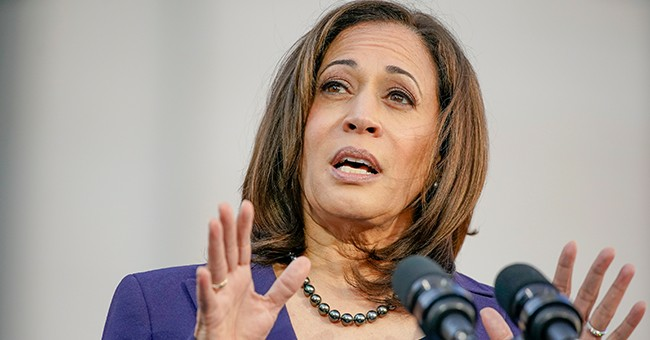 Several Democrats running for president, however, have declined the invitation after a progressive group requested they boycott the conference. Sens. Elizabeth Warren (MA), Kamala Harris (D-CA), and Bernie Sanders (I-VT), former Texas state representative Beto O'Rourke, South Bend, Indiana Mayor Pete Buttigieg, and former Secretary of Housing and Urban Development Julian Castro are all reportedly skipping it. Asked to respond to Democratic no shows at AIPAC, President Trump again labeled them the "anti-Israel" party. We all knew Omar wasn't planning on going. She has accused pro-Israel lawmakers of supporting AIPAC because it's "all about the benjamins." AIPAC attendees will have a lot of Trump administration efforts to celebrate, including his recent decision to to fully recognize Israel’s sovereignty over the Golan Heights. The U.S. became the first country to declare Israel fully controlled the area on Thursday.